On Saturday, I met up with my friend Kerry-Anne, and we went to Sunderland National Glass Centre; Sunderland a city about eight miles . Kerry-Anne suggested booking up this workshop to make Christmas glass baubles; she felt it was a great activity for us to share. 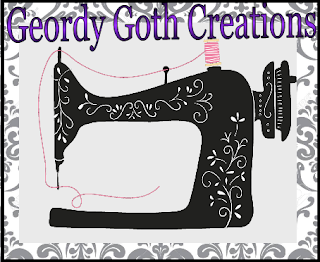 We both share a passion for arts and crafts, however, she's extremely talented as she sews, knits, crochets, cross stitches and bakes the most amazing cakes. The workshop was great sharing it with Kerry-Anne as we both created a great memory, and a uniquely crafted bauble. 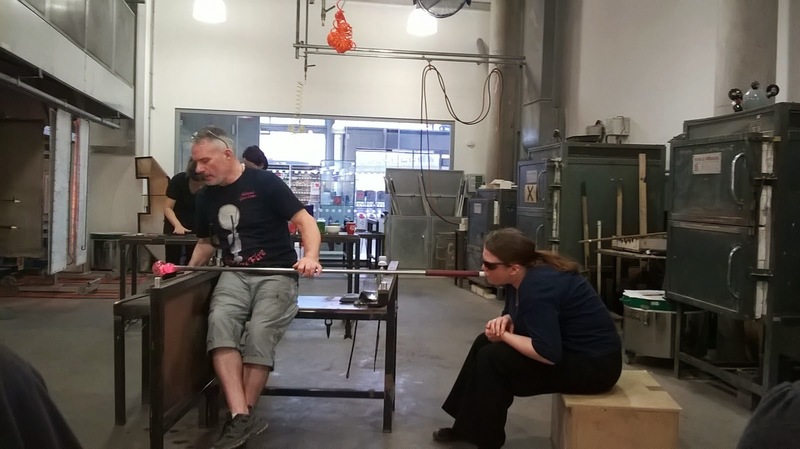 We were guided to the glass workshop, and the Glass Craftsman instructed us how to create the baubles. 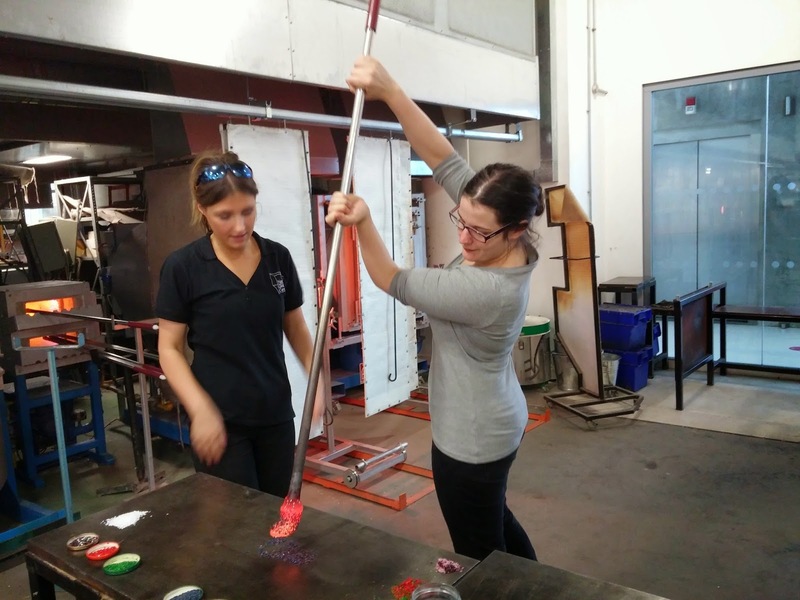 The workshop furnace temperatures were 1100 degrees centigrade, creating an intensely hot environment.Kerry-Anne volunteered to go first as she previously did glass making at university, she chose pink and fuchsia frits. 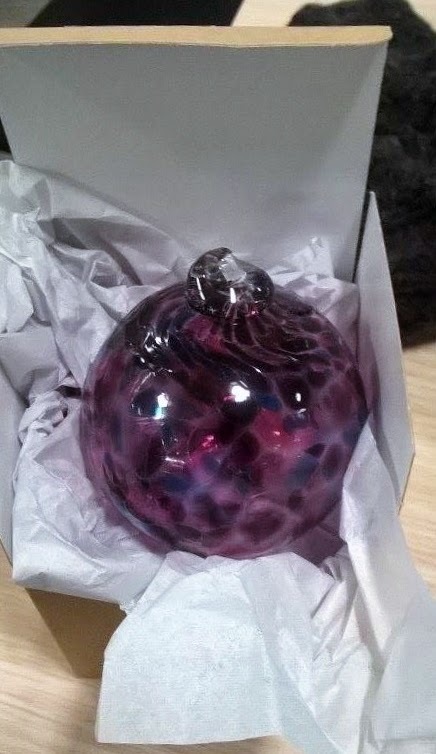 I chose for my bauble black, purple and fuchsia frits. 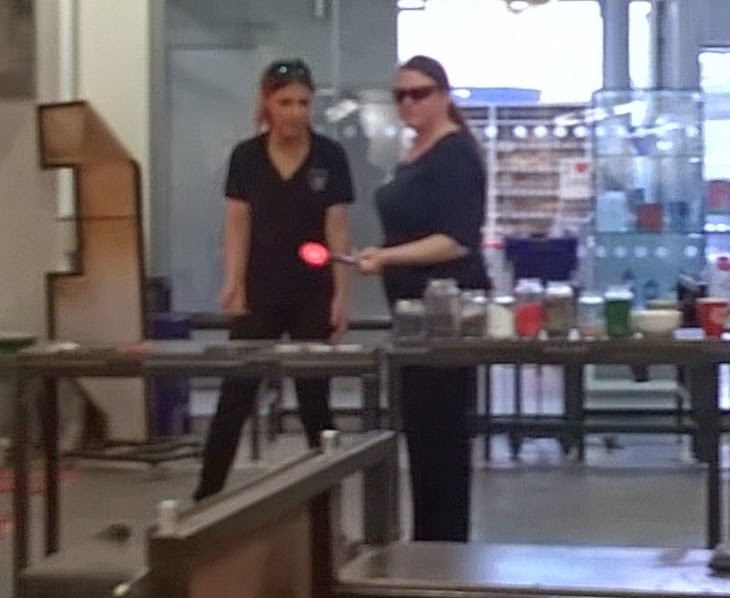 The process involved : choosing coloured glass frits for the design of baubble, and the artist passed a long iron rod with molten glass. The tutor instructed to continually roll the iron rod in the frits, and press the molten glass's bottom in the frits. 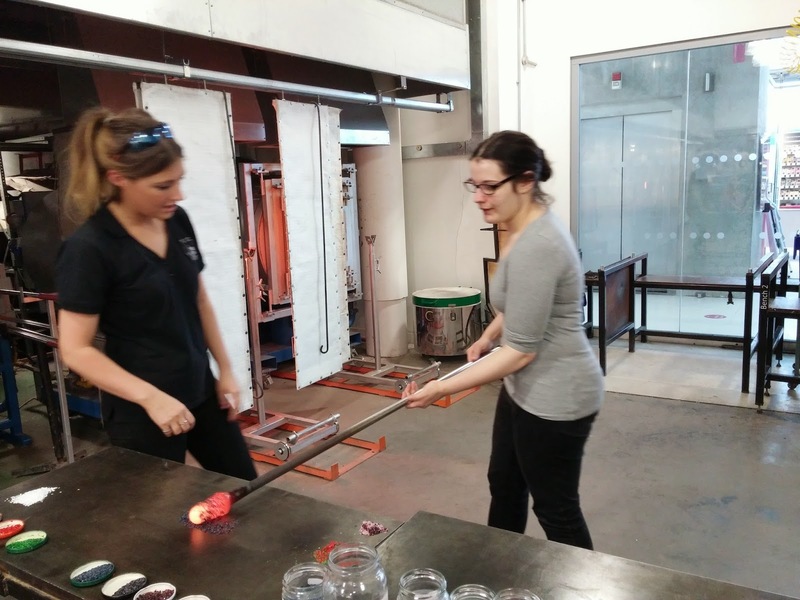 The glass was placed in the furnace and rotated to meld the frits with molten glass. The furnace hole was nicked named the 'Glory Hole'. I apologise for being juvenile; I found this funny. 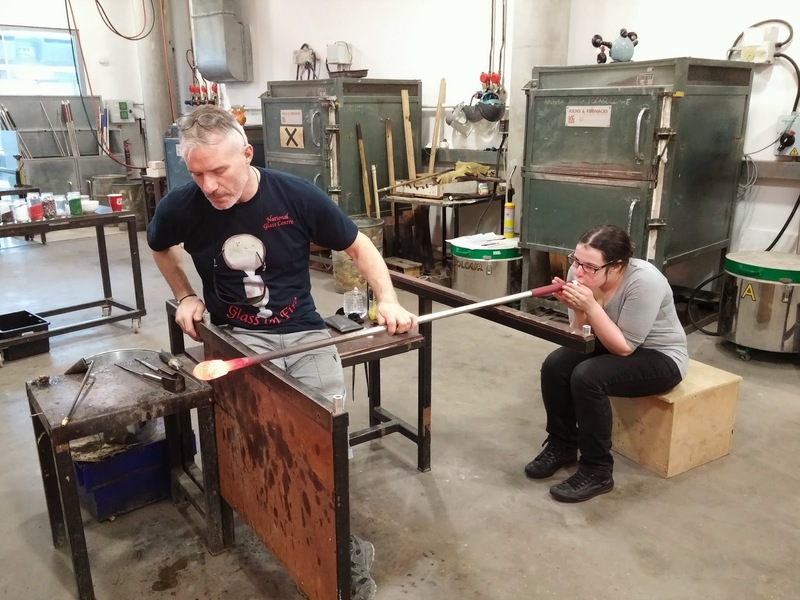 The participant blew into the iron rod to shape the bauble into glass; personally, I found it extremely difficult to do. 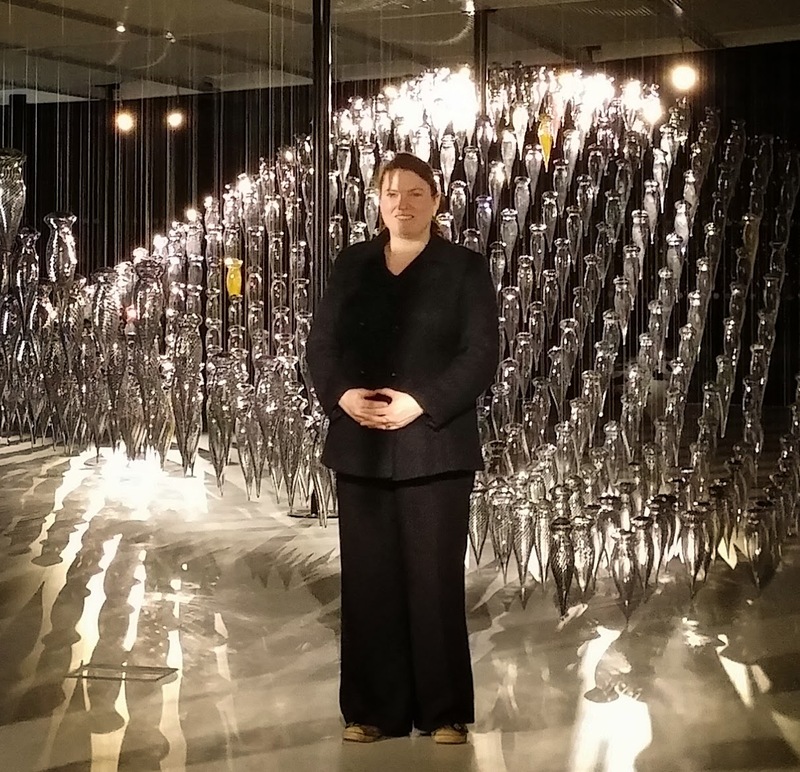 The instructor added molten glass to create a loop, and it was placed into a giant fridge, preventing the bauble from cracking.